No.19 Music’s Social Experiment continues with a new chapter delivered courtesy of Art Department and featuring an array of exclusive material. Art Department aka musical partners Jonny White & Kenny Glasgow, have a long history together, but it was with the launch of their Art Department moniker and their releases through Crosstown Rebels that the pair came into the spotlight. Debut album ‘The Drawing Board’ received rapturous support and their single ‘Without You’ was proclaimed a record of the year 2010 by the likes of Resident Advisor and Mixmag. 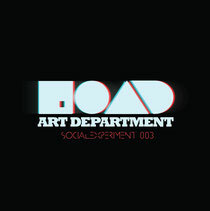 Two years on and Art Department is riding high, touring the world and delivering their own unique party experience wherever they go, now they come together to compile and mix their first official compilation album, ‘Social Experiment 003’, capturing something of that experience in a 72-minute mix. No.19 Music’s ‘Social Experiment’ compilation series was the obvious choice for this inaugural compilation from the pair, the imprint being owned and lovingly curated by Jonny White and the label’s ‘Social Experiment’ parties having been a key part in the Art Department schedule, with shows at Sonar, WMC (Miami), Fabric and Panorama bar. The album features 14 tracks with some of the biggest and brightest names in electronic music making an appearance, eight exclusives bring unheard cuts from the likes Jamie Jones, My Favorite Robot and Art Department themselves and the whole thing is tied together with the duo’s creative vision. 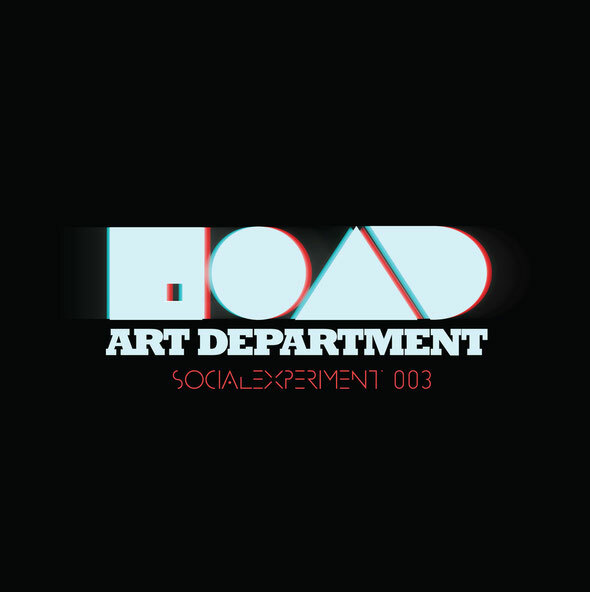 Bookended with Art Department exclusives in the shape of ‘Into the Dust Intro’ and ‘Insomniac’, the mix takes an emotive and intense journey through the realms of twisted house music, deep techno and afterhour grooves, fusing uplifting vocal compositions with rolling instrumental workouts. It’s out today.